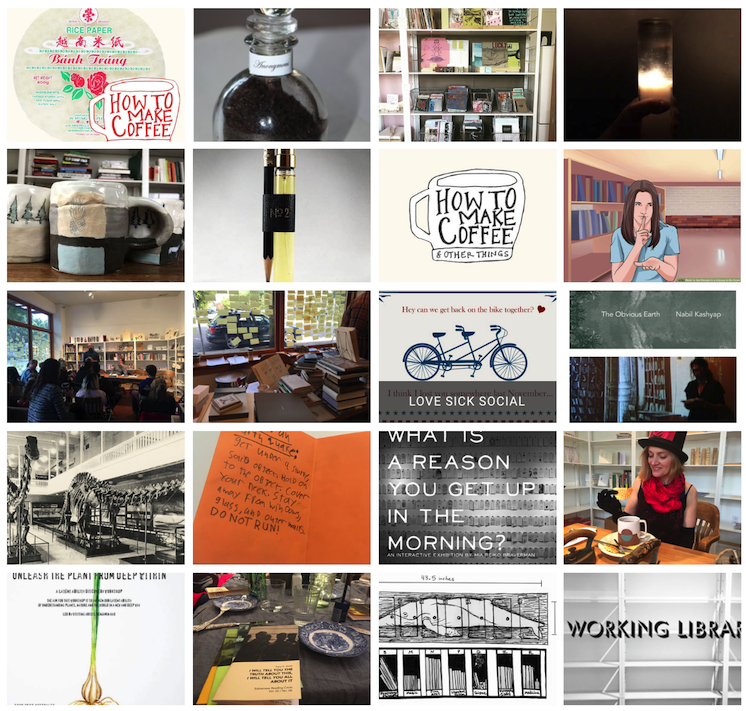 Launched in March 2016, we embarked on a collaborative project named, Working Library. Housed in a storefront, we set out to perform a library in conversation with the community. Through a series of investigations we created a social space which is in a constant state of becoming—a place of public voice, where visitors borrowed from and contributed to the circulation of ideas and objects. We took a leap with the generous support of c3:initiative’s project incubator, and launched a project that would become a bigger part of our lives than we ever could have imagined. We set out to highlight the experience of the library through a site of production and program for participation. We began a way of working that combined forms of participation and collaboration which evoke curiosity and encourage collective growth. Together we enjoyed unexpected interconnections. Working Library became an archive of the commons, a site of resistance, a social condenser, and location for fieldwork; a school, a forum to debate our values, a laboratory, and a venue for public programming. We did not do this alone–we brought forward the cumulative sum of our collaborations, which somehow proposed something that each part could not accomplish alone. We filled the library with content generated and imagined by its patrons and residents, creating a space in conversation with our communities. It is an honor to host this projects on the corner of Chicago and Lombard in St. Johns, Portland Oregon for more than a year. We were gifted a sanctuary for conversation, learning, gathering, and making. Moving forward, we are thrilled to announce c3:initiative’s ongoing support of Working Library. They will steward the project into its next iteration, embracing the same spirit we began with and cultivated. Stay tuned for a series of programs as c3 embarks on exploring what the Working Library can become.